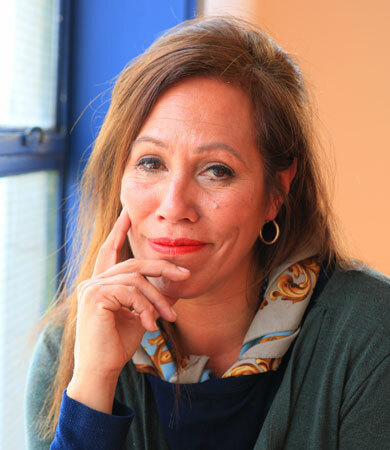 In a career spanning more than 30 years, internationally acclaimed theatre director Nina Nawalowalo has created a platform for the telling of Pacific stories across the globe. Artistic Director and Co-founder of Wellington-based theatre company The Conch, she is a performer, mentor and teacher who has presented at over 40 international festivals, including the London International Mime Festival, British Festival of Visual Theatre, and the Moscow Arts Festival. From her ground breaking ‘Vula’ which toured for 7 years including a 3 week season at The Sydney opera House and a sold out season at London’s Barbican Centre, to Masi, Marama and her unforgettable direction of the work of others such as Hone Kouka’s The Prophet and Edinburgh festival award winning Duck death and the Tulip, Nina is renown for her powerful visual and magical work exploring Pacific themes. She is passionately committed to bringing our untold stories into the light and for using theatre as a vehicle to affect social change. In 2013 She established the Solomon Islands National Women’s Theatre Company ‘Stages of Change’ as a means to address violence against women and girls. The 15 strong company of women performed at the Melanesian Arts Festival in Papua New Guinea and at the EU Parliament in Brussels. Her most recent show, The White Guitar, is the powerful story of The Luafutu Family – Father John and sons Matthias and Malo aka renown hip hop artist scribe. Told by the Luafutu family themselves, the sold-out show was lauded by critics with praise: “If there’s any show that you’re going to see in the next decade, this has to be it” [RNZ National]. It was described by The Press as ‘a seminal moment in New Zealand theatre history’. In 2017, Nina received the Senior Pacific Artist Award in acknowledgement of her significant contribution to Pacific Arts in Aotearoa.